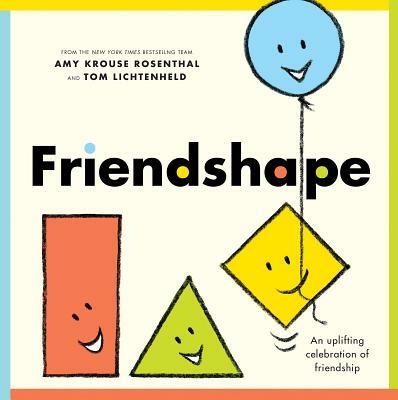 Amy Krouse Rosenthal and Tom Lichtenheld are NYT bestselling and award winning creators of many books they’ve shaped together and individually. As a team, they’ve created the bestselling EXCLAMATION MARK!, DUCK! RABBIT! and WUMBERS. Amy is the author of HIGHLIGHTS OF YOUR LIFE with Sara Gillingham and SPOON, illustrated by Scott Magoon, as well as many other books. Tom is the illustrator of GOODNIGHT, GOODNIGHT, CONSTRUCTION NIGHT Site written by Sherri Duskey Rinker and ONE BIG PAIR OF UNDERWARE by Laura Gehl. Tom and Amy, who are friends, both live in the Chicago area. Please visit Amy at whoisamy.com and Tom at tomlichtenheld.com. Tom Lichtenheld is the illustrator of New York Times bestsellers Duck! Rabbit!, Exclamation Mark, Steam Train Dream Train, Shark vs. Train, and Goodnight Goodnight Construction Site, which has been on the bestseller list for over three years. He has also written and illustrated a number of books, including What Are You So Grumpy About?, Cloudette, and E-mergency, a Publishers Weekly and Boston Globe Best Book of 2011. For more information, visit him at tomlichtenheld.com.